"My husband and I feel so 'at home' with Building Blocks! What truly makes this an extension of our home is the pictures and stories the teachers tell when you pick up your child. The teachers truly want to be part of the children’s lives! Our son is so excited to play with his friends during the week, that by Sunday he is asking to go back! Daycare is one of the hardest decisions you have to make as a parent-you want only for your child to grow, learn and be safe-at Building Blocks this is happens! I trust these teachers with my life, our son!" "Thank you for always giving us the peace of mind that our children were being cared for like they were your own. Good childcare is expected, but great childcare is a true blessing." "As a family with both parents working, we struggled with not being able to have our kids at home and having someone else take care of them. Building Blocks has taken that concern and apprehension totally away and given our kids a wonderful environment to grow educationally and socially. Both of our kids have developed great friends, have had excellent learning experiences and prepared them well for school. 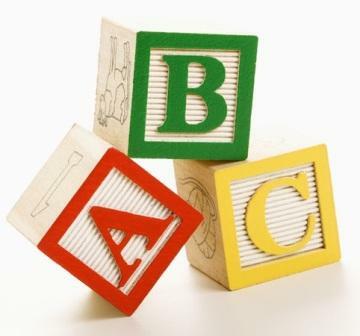 We have and will continue to recommend Building Blocks for child care and development!" "When looking for a daycare for our children the staff was the #1 reason we choose Building Blocks. When my son was about 10 months we found out that he had a stroke. We were struggling with how we would be able to get him the attention he needed with therapy and with both parents working. The staff at Building Blocks jumped in right away and wanted to help in anyway they could. This has continued with every room he moved up to, no matter what teacher he has had. We love picking them up and hearing what a great day they had and how well my son did eating or using the bathroom. We also love hearing from my son that he loves his teachers too. It is so comforting that knowing when we drop our children off in the morning they are in great hands. I wouldn't have anyone else watch my kids." "After being in several daycares we've found our happy place at Building Blocks. I am so grateful for Beth Hanna and her staff for rescuing us! Both of our kids are happy to see their teachers and care takers each day. Seeing our boys smiling and giggling at drop off is the best way to start a work day. It brings us peace of mind. What more does a parent want? My toddler, actually, says bye and waves to me in the morning and my preschooler doesn't even look back when he jets down the hall! Both of our kids are happy, learning, and developing. On top of that, the staff knows each of our children because they've spent time with them, as the team rotates rooms throughout the year. It makes transitions, for the kids, to new rooms, smooth and anxiety-free. We truly feel blessed to find such a jewel in our community." "In the beginning of our family journey to Building Blocks, I was apprehensive, nervous, scared and overly protective. As soon as I came into the daycare/school and spoke with the director Beth, I felt a bit more at ease. It was that day right after our meeting when we met Beth, and instantly we knew we had found the right place! She loves the kids and goes the extra mile for them in ensuring their well being and education. Our child has blossomed at Building Blocks with Beth and her Staff. I have never seen a more positive, clean and nurturing environment! I am so happy with what Gracie has received there and cannot begin to express the gratitude we have! Building Blocks is the greatest decision in a daycare/school that can ever be made for children of their age range! This is it, We love Building Blocks and so does Gracie!" "We’ve tried our kids in both in-home and Center daycares in the past, and while we liked certain parts of each place, there were also parts of each that were less than desirable. Enter Building Blocks Child Care and Learning Center. We enrolled our children in August 2018, and have been amazed to find that everything we desire for our children is right here. The staff excel at teaching and facilitating a learning environment, they are compassionate, loving, and from day one, treated our children as if they are their own. Our 3-year-old has grown leaps and bounds in such a short amount of time, and our 6-year-old is able to choose from a variety of activities after school along with homework help when needed. I can say for the first time, there are no tears from either the kids or mom during drop off. We couldn’t be happier with how incredible this facility and team is!"